WEDNESDAY, Jan. 9, 2019 -- Medical marijuana may help the thousands of Americans who use it, but far too many of these folks are getting behind the wheel while high, new research shows. In a poll of medical marijuana patients in Michigan, more than half acknowledged having driven within two hours of consuming a cannabis treatment at least once during the prior six months. About 20 percent they had done so while "very high," while about half described being "a little high" while driving. "Perhaps more surprising is that many said that they drove under the influence pretty frequently, at least 10 times in the past six months," noted study author Erin Bonar. She said that 7 percent of these frequent users said they had driven while very high and 19 percent had done so while a little high. "We didn't know of other any studies that had asked medical marijuana patients about driving while high, so we were not sure what to expect," added Bonar. She is an assistant professor in the department of psychiatry's addiction center at the University of Michigan in Ann Arbor. "[But] we know that both alcohol and marijuana have risks and can be dangerous, and we would advise not driving after using either one," Bonar stressed. 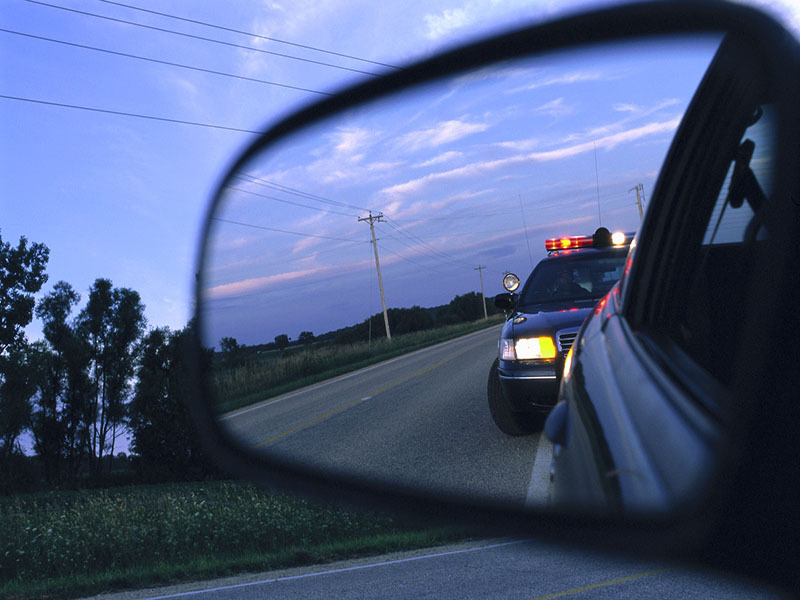 So how exactly does marijuana undermine driving safety? "Research studies show that things like your coordination and reaction time can be slowed by using marijuana, and those functions are important when you are driving," Bonar noted. "For example, you may be slowed down if you need to respond quickly to something unexpected," she said, "like a deer jumping into the road -- this happens a lot in Michigan -- [or] a bicyclist you didn't see coming, or a distracted driver who swerves into your lane. And this could increase your risk for a crash." The researchers said Michigan has 270,000 residents with state approval to use marijuana for medicinal purposes, ranking behind only California in number of users. At the time they were surveyed, all of the 790 participants (average age 46) were seeking either first-time medicinal marijuana approval or reapproval at a medical cannabis clinic, to cope with moderate or severe ongoing pain. The results were published Jan. 9 in the journal Drug & Alcohol Dependence. In the face of the poll findings, Bonar admitted that tackling the problem presents considerable practical challenges. For one, she said that establishing guidelines for a safe post-treatment waiting period is not always so easy, noting that "there isn't a 'Breathalyzer' for marijuana that is considered a gold standard yet." That thought was seconded by Russ Martin, director of policy and government relations for the Governors Highway Safety Association. He noted that "marijuana and alcohol impairment cannot be accurately compared, as the body metabolizes the two substances very differently." Nor can it be easily compared to other prescription drugs, he said, given that with marijuana, "there is no standard dosage, and we know that the drug has different effects on different individuals." What's more, "a driver's self-reported sense of being 'very high' or 'a little high' is subjective, and it may be possible to inadvertently reach a dangerous level of impairment before getting behind the wheel," Martin said. "This study makes it even clearer that health care and medical marijuana providers need to do a better job of helping patients better manage medications and driving," he said. Problematic impairment following marijuana exposure can vary, said Bonar, depending on the quantity and type of marijuana used, and "we need more research to understand this. The safest advice we can give is not to drive at all within several hours of using." J.T. Griffin, chief government affairs officer of Mothers Against Drunk Driving (MADD), agreed. "MADD encourages anyone who plans to consume marijuana or other drugs to always plan ahead and designate a driver who is not consuming alcohol or drugs," he said. "That can include a friend, family member, public transportation, taxi or ride-share." Meanwhile, "MADD encourages continued research into the impairing effects of marijuana," Griffin added. "While much has been learned over the years about levels of impairment caused by alcohol and the best methods for measuring impairment, the same cannot be said for marijuana at this time." The U.S. National Center for Complementary and Integrative Health has more on marijuana and medicinal usage.